Property 7: Beautiful Luxury Cottage. Walk To It All! Property 11: Applinger Farm...a great place to gather! Property 17: A Zen-like Getaway! Just minutes to Ashland! Beautifully Appointed! Property 18: Rustic Grants Pass Rental Across From Rogue River! Property 21: Tiny House. Hot Tub. Pool. Winter Retreat, Relax and Rejuvinate at your Home away from Home! Property 23: Winter Retreat, Relax and Rejuvinate at your Home away from Home! Property 26: Beautiful little place. Walk to town and theaters! Property 32: Charming Space Next to Everything, Walk Anywhere! Steps to theatre, shopping, dining and all that downtown Ashland has to offer! 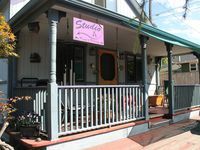 Property 33: Steps to theatre, shopping, dining and all that downtown Ashland has to offer! Artsy Rogue River Retreat w/Hot Tub & Pool Table! Property 35: Artsy Rogue River Retreat w/Hot Tub & Pool Table! Property 36: Steps To Theater, Charming, Super Clean, Great Furnishings! Beautifully Remodeled 2 Blocks from Theater and Town! Property 40: Beautifully Remodeled 2 Blocks from Theater and Town! Property 41: Walk to town from this Charming, Updated and Licensed Cottage. The Victorian Secret - Just Steps to Theatres, Plaza, Restaurants & Park. ENJOY! 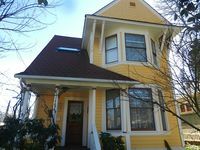 Property 44: The Victorian Secret - Just Steps to Theatres, Plaza, Restaurants & Park. ENJOY! Property 47: Beautiful Historical Home 2 Blocks from Theater and Plaza! Property 50: Evening Ridge Terrace! One of the great things about staying in VRBO&rsquo;s is finding such unique places like this beautiful home. The artistic and creative decorations made this place really special. It was centrally located and had everything we needed for a relaxing and enjoyable stay. The hosts were wonderful to work with.